Tantrums, huffs and mayhem abound in Ian Hislop and Nick Newmanâ€™s â€˜am-dramâ€™ comedy, A Bunch of Amateurs. Keen to boost his flagging career, fading Hollywood action hero and heart-throb Jefferson Steele is drawn to England to play the title role in King Lear in what he believes will be a prestigious production in Stratford-upon-Avon. 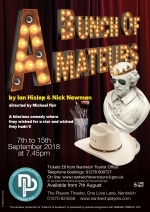 Alarmingly for Steele he finds that he has been tricked by his agent and he has been booked by an amateur dramatic company in the tiny Suffolk village of Stratford St John. Steeleâ€™s horror only increases when it becomes blindingly obvious that thereâ€™s no Kenneth Branagh, Sir Ian McKellen or Dame Judi Dench and his fellow cast are in fact a bunch of amateurs trying to save their theatre from developers. Jeffersonâ€™s monstrous ego, vanity and insecurity are tested to the limit by the enthusiastic â€˜am-dramâ€™ thespians. As acting worlds collide and Steeleâ€™s career implodes, he discovers some truths about himself â€“ along with his inner Lear! â€œTerrific comedy packed with killer comic dialogue... plenty of twists and turnsâ€ ~ WhatsOnStage â€œDeliciously stuffed with Shakespeare...a laugh-a-minuteâ€ ~ Mail on Sunday Directed by Michael Fair, performances will be at 7.45pm on 7th â€“ 15th September, 2018. 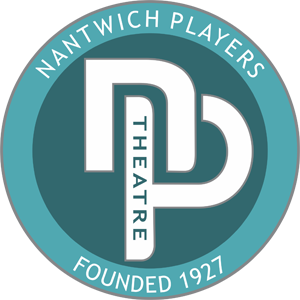 Tickets priced at Â£9.00 will be on sale from Nantwich Tourist Office (01270 600727) or on-line at www.nantwichtowncouncil.gov.uk from Tuesday 7th August 2018. Priority tickets for our VIP Supporters go on sale Saturday 4th August at the Theatre. To find out more about becoming a VIP Supporter visit the membership section of the website.